The government recently released exposure draft legislation that removes the ability of taxpayers to deduct certain payments – including payment of wages and payments to contractors – if the entity making the payment fails to comply with its obligations to withhold and report information to the ATO. For a supply of services — excluding supplies of goods and supplies of real property — where the payee has not quoted its ABN. Note however that the deduction is only denied where no amount has been withheld at all or no notification is made to the Commissioner. Withholding an incorrect amount or notifying an incorrect amount will not affect the entitlement to a deduction. 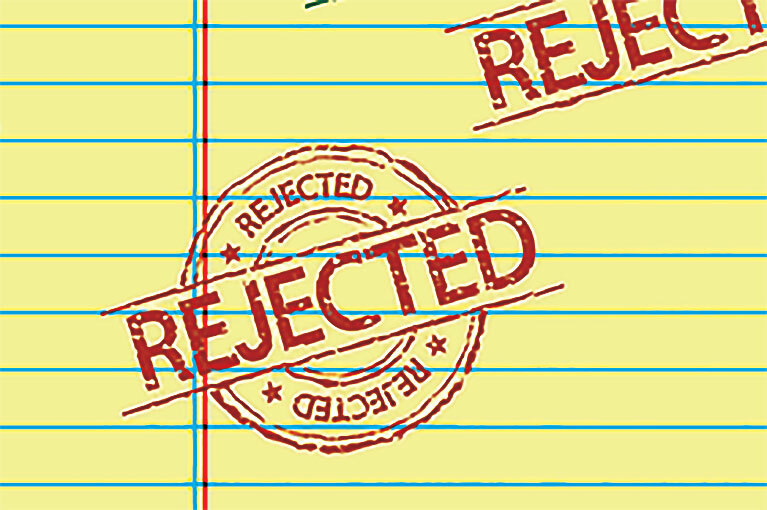 A deduction is also denied in relation to a non-cash benefit provided in lieu of a cash payment. 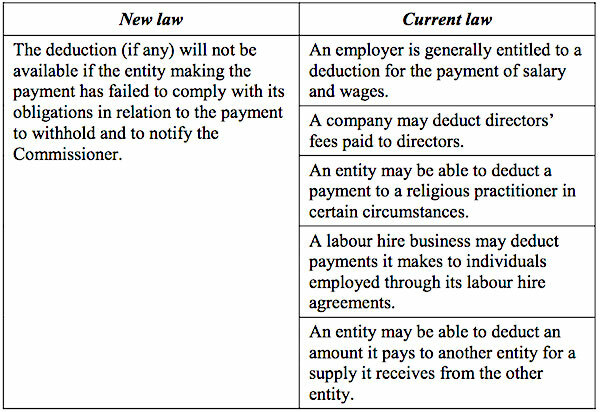 Where an employer that makes a payment to an employee that they believe to be a contractor, they will not be denied a deduction if, had the employer been correct in characterising the employee as a contractor, the employer would not have been required to withhold and the person provides an ABN. Example from the EM: Super Express Deliveries Pty Ltd carries on a business as a bicycle courier service. Super Express Deliveries has engaged around 30 bicycle couriers to enable it to fulfil orders from its customers. Super Express Deliveries seeks legal advice about the engagement of the bicycle couriers. The advice concluded the bicycle couriers were independent contractors and were not employees. It placed significant emphasis on the couriers’ use of their own bicycles. To this end, Super Express Deliveries required each of its bicycle couriers to obtain an ABN and provide it to the company. Super Express Deliveries concluded that it did not have to withhold any amounts from the payments it made to couriers. The Commissioner conducts an audit of Super Express Deliveries and decides that the bicycle couriers are employees of Super Express Deliveries. After considering the Commissioner’s reasons and legal authorities, Super Express Deliveries does not dispute this conclusion and agrees to begin fulfilling its withholding obligations on this basis. The deduction available to Super Express Deliveries for its previous payments to bicycle couriers is not affected by its failure to withhold. Under the second exemption, a deduction that would otherwise be denied is restored if the taxpayer voluntarily notifies the Commissioner of their mistake before the Commissioner commences an audit or other compliance activity. Example: Caleb carries on a business as a mechanic. Caleb does not have any employees until he hires an apprentice, Bianca, in May 2020. Caleb is not aware that he must withhold an amount from Bianca’s wages and pay it to the Commissioner. Caleb visits his accountant in September 2020 to prepare his 2019-20 income tax return. He mentions his expenditure to pay Bianca’s wages. Caleb’s accountant advises Caleb he should have been withholding from the wage payments. Caleb notifies the Commissioner of his mistake and enters into an arrangement to pay the Commissioner the penalties associated with his failure to withhold. However he is entitled to claim the deduction for the cost of Bianca’s wages in his 2019-20 income tax return.